Imagine an electronic newspaper that you could roll up and spill your coffee on, even as it updated itself before your eyes. It’s an example of the technological revolution that has been waiting to happen, except for one major problem that, until now, scientists have not been able to resolve. Researchers at McMaster University have cleared that obstacle by developing a new way to purify carbon nanotubes – the smaller, nimbler semiconductors that are expected to replace silicon within computer chips and a wide array of electronics. 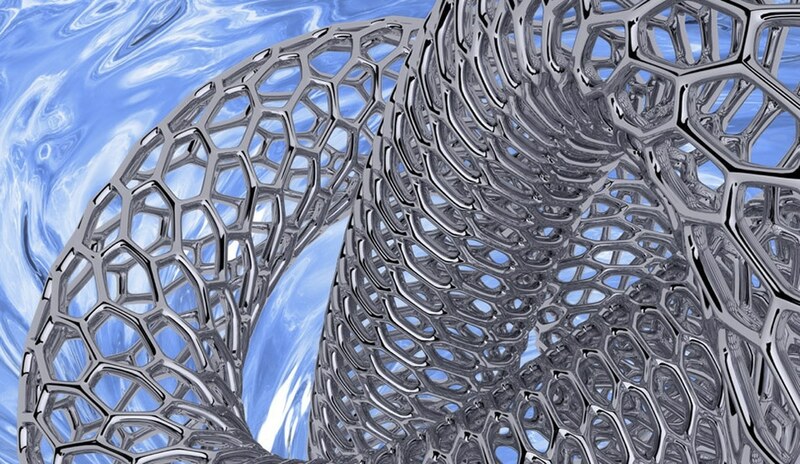 “Once we have a reliable source of pure nanotubes that are not very expensive, a lot can happen very quickly,” says Alex Adronov, a professor of Chemistry at McMaster whose research team has developed a new and potentially cost-efficient way to purify carbon nanotubes. Carbon nanotubes – hair-like structures that are one billionth of a metre in diameter but thousands of times longer ­– are tiny, flexible conductive nano-scale materials, expected to revolutionize computers and electronics by replacing much larger silicon-based chips. A major problem standing in the way of the new technology, however, has been untangling metallic and semiconducting carbon nanotubes, since both are created simultaneously in the process of producing the microscopic structures, which typically involves heating carbon-based gases to a point where mixed clusters of nanotubes form spontaneously as black soot. Only pure semiconducting or metallic carbon nanotubes are effective in device applications, but efficiently isolating them has proven to be a challenging problem to overcome. Even when the nanotube soot is ground down, semiconducting and metallic nanotubes are knotted together within each grain of powder. Both components are valuable, but only when separated. Researchers around the world have spent years trying to find effective and efficient ways to isolate carbon nanotubes and unleash their value. While previous researchers had created polymers that could allow semiconducting carbon nanotubes to be dissolved and washed away, leaving metallic nanotubes behind, there was no such process for doing the opposite: dispersing the metallic nanotubes and leaving behind the semiconducting structures. Now, Adronov’s research group has managed to reverse the electronic characteristics of a polymer known to disperse semiconducting nanotubes – while leaving the rest of the polymer’s structure intact. By so doing, they have reversed the process, leaving the semiconducting nanotubes behind while making it possible to disperse the metallic nanotubes. The researchers worked closely with experts and equipment from McMaster’s Faculty of Engineering and the Canada Centre for Electron Microscopy, located on the university’s campus. “There aren’t many places in the world where you can do this type of interdisciplinary work,” Adronov says. The next step, he explains, is for his team or other researchers to exploit the discovery by finding a way to develop even more efficient polymers and scale up the process for commercial production. The research is described in the cover story of Chemistry – A European Journal.